Exceptional vision care products for the specialty contact lens industry. Our first FDA cleared material, Acuity 100 is featured as the workhorse material for today’s most advanced corneal and scleral gas permeable contact lenses. 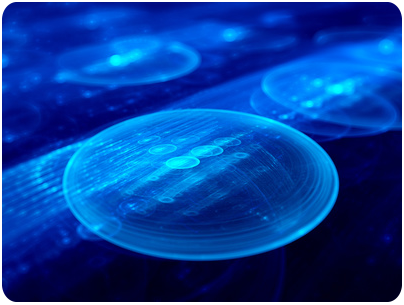 The material’s excellent machining and optical properties make is ideal for the wide breadth of specialty designs offered by custom contact lens laboratories. The high Dk offers fitters and patients the confidence of exceptional oxygen delivery for the protection of ocular health. Available in standard and large diameter options, and in a number of handling tints. Acuity Polymers is dedicated to bringing to market the highest quality GP materials for the specialty lens industry. Using novel state-of-the-art process technology, Acuity produces highly consistent products that meet very tight specifications. Acuity Polymers is developing a full range of fluoropolymers, from low and mid Dk up to high and hyper Dk GP materials suitable for all types of designs and wearing modalities.